A pip (point in percentage), is the smallest movement a forex price can make, and is just as important to know, and manage, than the Dollars the trader can make. A pip is a standardized unit, so we know we are talking about the same change in a price when we talk in pips. A pip is usually quoted as one basis point, that is 1/100th of 1% (1% = 100 basis points). A basis point is 0.01% (1/100th of a percent) or 0.0001 in decimal format. Fx is quoted in decimal format for all currencies. So, a one point change in the 4th decimal (second decimal for JPY), is a one pip change. Currencies are qouted to the 4th decimal, or more for fractional pips (pipettes), but JPY is qouted to the 2nd decimal (a 3rd decimal would be a fractional pip). Fifty pips = 500 pipettes. Notional amount: the total value to which the trader is exposed based on the leverage used. multiply by the value of your trade (the notional amount). Your exposure in the EURGBP trade will be 11,75 EUR for every pip the position move in your favour or against you. 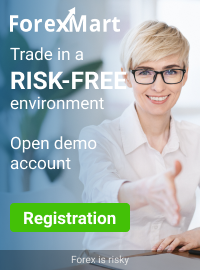 That is why it is safer to start your trading with micro lots, which, in this example, will reduce your exposure to 0.1175 EUR per pip price movement. A micro lot trade (0.01) of GBPUSD, will result in a profit or loss of $1 per 10 pips. Not fireworks, but affordable practice. If you don't mind the pips, you will lose the money.